PaRappa is back to bring rhythm and rhyme to a new generation on PS4. Developer: Sony Interactive Entertainment Inc. It may be 20 years since PaRappa first brought the beat to PlayStation, but his rhymes are as fresh as ever for his PS4 return – featuring remastered raps and dynamic 4K support for PS4 Pro. To win the heart of his fragrant, flowery love interest Sunny Funny, PaRappa must drop beats and rhymes on his rival, Joe Chin. But to be the greatest rapper, he’ll have to prove he’s the man with the master plan in a series of rhythmic rap battles alongside friends and teachers like Chop Chop Master Onion, Prince Fleaswallow and Cheap Cheap the Cooking Chicken. Ride the rhythm and match the timing of each mentor to help PaRappa master the lyrics he needs in a series of hilarious, vibrant encounters that brings the original, lovable art style up-to-date for a new generation. Build your belief in becoming the hero Sunny Funny deserves with this funky demo on PlayStation Store. 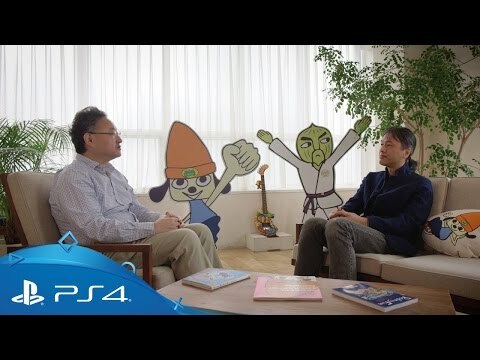 Get the inside scoop on PaRappa – read in-depth interviews with the series’ creator Masaya Matsuura and artist Rodney Greenblat. 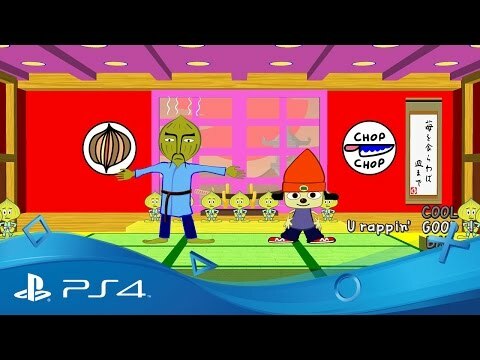 Download PaRappa The Rapper Remastered on PS4. Just over 20 years ago, Masaya Matsuura and NanaOn-Sha released rhythm-action classic PaRappa The Rapper on PlayStation. Like many gamers, I was enthralled by this pioneering narrative music game; it inspired me to pursue a career as a rhythm-action game developer and, ultimately, to co-found iNiS and create Gitaroo Man on PlayStation 2. Over the […] The post Introducing PS4’s next rhythm-action hero: Project Rap Rabbit appeared first on PlayStation.Blog.Europe. The PS4 version of PaRappa the Rapper is now available. To celebrate, check out this special sit down with the father of the series, Masaya Matsuura, and Sony Interactive Entertainment’s Shuhei Yoshida! From a musician to a game creator The original PlayStation version of PaRappa was released on 6th December 1996 in Japan. 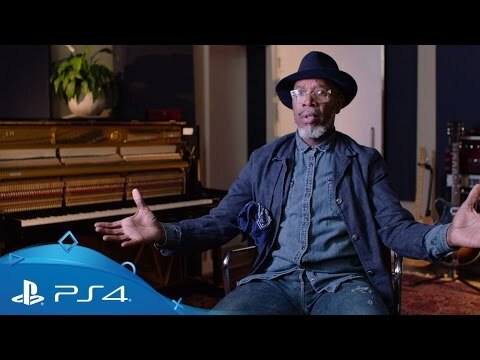 Crash Bandicoot, […] The post Masaya Matsuura and Shuhei Yoshida on the birth of PaRappa the Rapper appeared first on PlayStation.Blog.Europe. One of gaming’s most beloved icons is a lovestruck rapping dog who’s just gotta believe. PaRappa the Rapper has featured in his own anime series, made a cameo in PlayStation All-Stars Battle Royale, and he’s about to be remastered for PS4. And there, along with his pals, Chop Chop Master Onion, Prince Fleaswallow, Sunny Funny […] The post Extended Play: How PaRappa The Rapper ushered in a music game revolution appeared first on PlayStation.Blog.Europe.